Mumbai: NIIT, a global leader in skills and talent development, unveiled its first specialized IT center in Hoa Sen, Vietnam to create talent pool for Digitalization of Vietnam. The center will deliver futuristic IT training programs to School pass outs, University students and working professionals under the LEAD (Learn, Enhance, Aspire, Deliver) methodology. NIIT will be delivering these programs through innovative blended learning process comprising both online and offline model which will give students flexibility of time & place. The specialized NIIT IT center is being launched in Ho Chi Minh City with state-of-the-art products, for a career in IT ranging from data science to networking to software engineering. The NIIT center will offer programs on technologies like Office 2013, Java 7, Visual Studio 2012, SQL Server 2012, ASP.net, MVC 4.5, HTML 5, JQuery, Java Script, Infrastructure Management to enable students to learn Office 2013, Windows Server 2012, Microsoft SQL Server 2012 and Microsoft Share Point 2013. Apart from these, various rapid employability and career enhancement programs will also be offered by NIIT. Key technologies acquired during the courses include tracks like 12C, MS Server 2012, Jelly Bean, Kit-Kat, Oracle, CCNA & CCNP, A+ & N+, Web Design & Development, Graphic Designing, MIS, and Project Management etc. Programs under Training.com- a multi-modal learning platform by NIIT, will be made available to help Individual, Corporates and Universities. With our thrust on curriculum development and regular faculty training, NIIT will offer the most sought after IT programs to the Vietnamese youth. Information technology has changed the way people work and the next ten years will be about transforming the businesses across all industry sectors. According to industry experts, digitally transformed organizations are 26% more profitable than their industry competitors. Global spending on digital transformation technologies is expected to cross $2.1 Trillion by 2019. By 2018, 35% of IT resources will be spent to support the creation of new digital revenue streams, and by 2020 almost 50% of IT budgets will be tied to digital transformation initiatives. NIIT is pioneering innovative delivery methods. Its new venture training.com multi-modal learning platform, a direct-to-device initiative for advanced career programs will make cutting-edge blended learning programs available to professionals in Vietnam in partnership with world’s leading universities and education institutes. The programs on Training.com are targeted at working professionals who want to take their careers to the next level by enhancing their knowledge of the latest business concepts. Additionally, the not-for-profit NIIT University (NU) entered into a tie-up with Hoa Sen University (HSU), one of the leading private universities in Vietnam to empower the Vietnamese society with futuristic learning programs. To this end NIIT Data Research Institute was set up at HSU as a step towards making cutting-edge education and training available to the masses. Under this tie-up, student exchange programs between NU and HCU will be organized regularly. The universities will work together to develop new programs that are aligned to the digital economy. Incubation centre for collaborative projects between NU and HCU will also be set up. 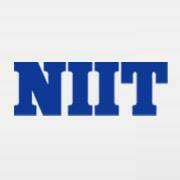 NIIT established its presence in Vietnam in the year 2000, becoming the first Indian IT enterprise to do so. Over the years, NIIT has been training skilled IT professionals for the Vietnam IT industry. With support of its outstanding partners and institutions, it has trained more than 50,000 students in the country. NIIT has also been the winner of Vietnam’s ICT Gold Award for 7 years. NIIT.tv – a disruptive innovation of NIIT is yet another initiative to bridge the digital divide. 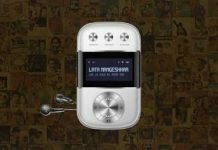 NIIT.tv is an internet TV portal that can be accessed on a computer, tablet or smartphone anytime, anywhere. It is a democratic digital learning initiative, backed by NIIT’s strong Educational Technology framework launched in October 2015 with an aim to bring high quality training from its classrooms to every digitally connected learner, for free, at any time, place and language of their choice. The platform has received an overwhelming response with a total of 636450+ users from over 175 Countries. In the initial phase, over 20 skill-based training programs in IT, Banking and Finance, Retail and Management were made available, which has now scaled up to 5860+ “live” as well as “on-demand” courses for various segments from school children to college students to working professionals for free. This has prompted NIIT to go beyond its programs and provide support in other areas of higher education through strategic tie-ups.